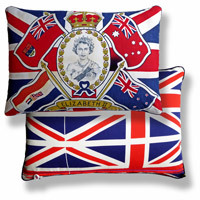 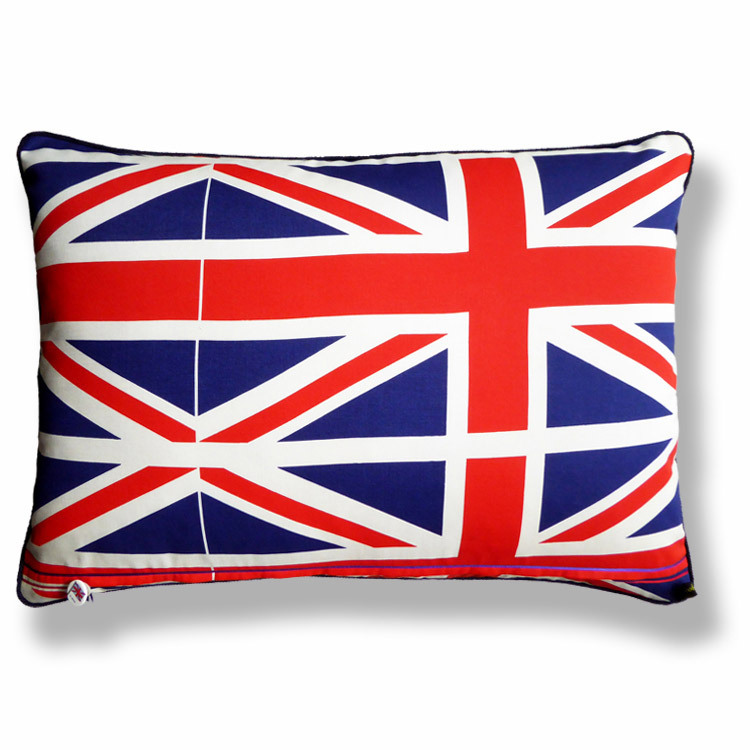 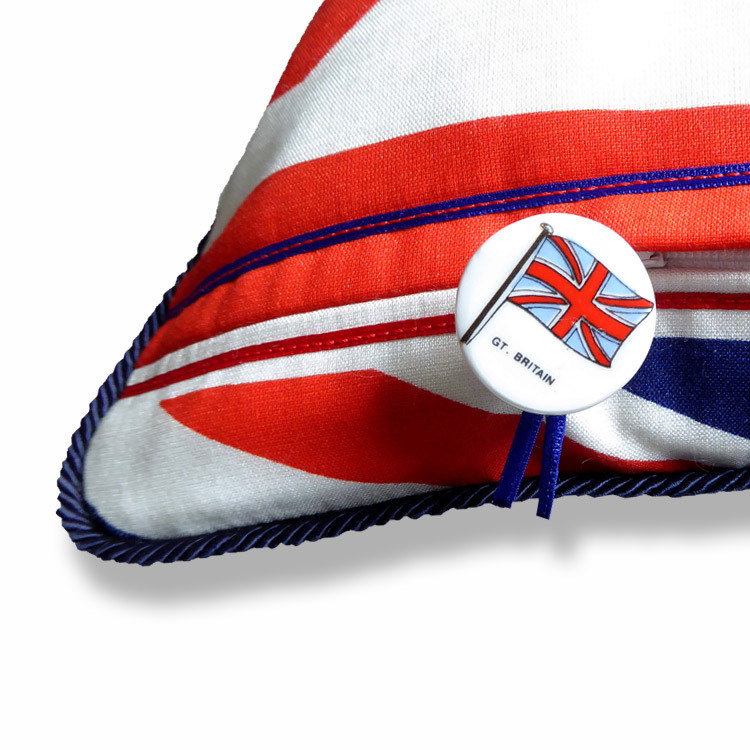 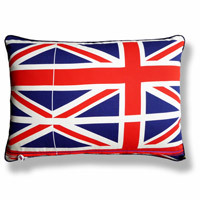 British bespoke luxury cushion created using original vintage flag fabrics. 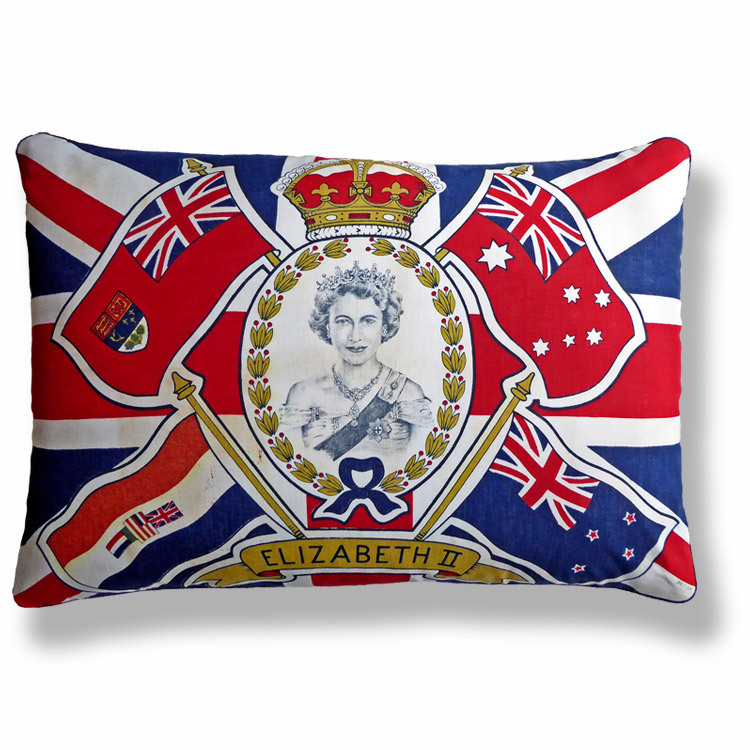 The front side was manufactured in Great Britain to commemorate the Coronation of Queen Elizabeth II in 1953 – an event marked by the prevalent production of British made textiles. 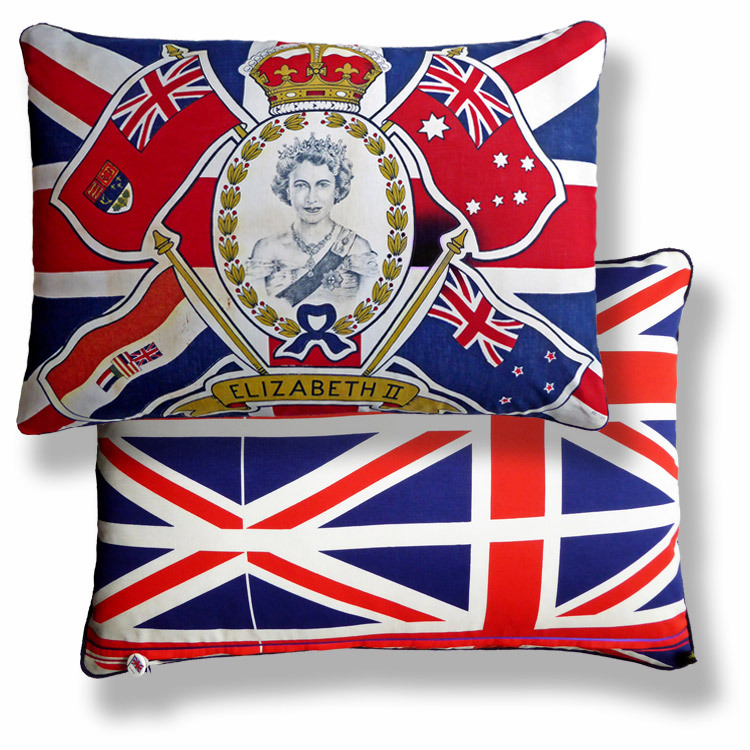 Mismatched on the opposite side in original eighties flag fabric designed to celebrate the marriage of Prince of Wales to Lady Diana Spencer.